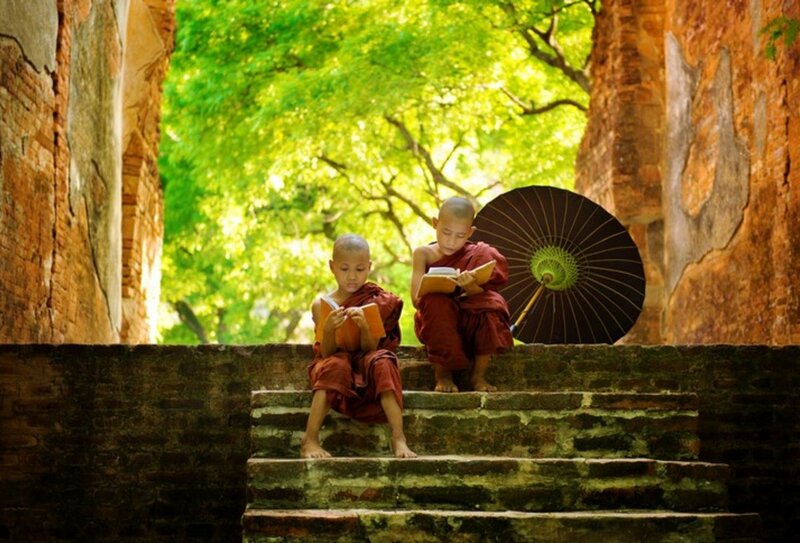 Discover the magic of Myanmar (Burma)! 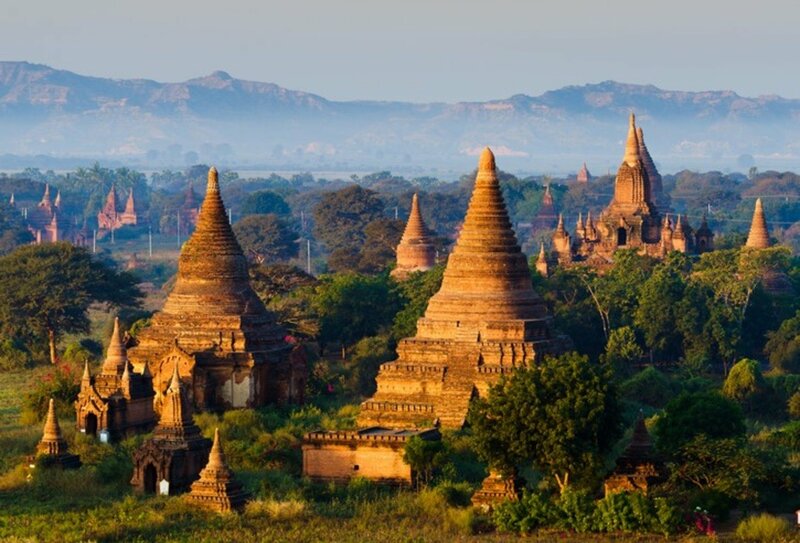 Soak up the blissful serenity of Myanmar on this 14-day group tour. This untouched idyll boasts beautiful temples, staggering natural landscapes, and native tribes who are only just opening up to the modern world. Beginning in Thailand, this shoestring adventure takes in the hill tribe villages of Kengtung, the laid-back life of Lake Inle, and the rich history of Mandalay – all at a price that won’t break the bank! In each stop, you’ll have the chance to take part in optional tours and activities, or just explore the area for yourself, giving you the flexibility to choose what you want to see, and how you want to spend your money! Watch the sun set over Asia’s most important temple and pagoda complex, Thein Taung. Enjoy a night of partying in Bangkok to round off your adventure! Day 1: Chiang Mai. Arrive into Chiang Mai airport at any time. Make your way to your accommodation in time for a 6pm welcome meeting with your group and guide. Get excited for the adventures that lie ahead! Day 2: Chiang Mai/Kengtung. Cruise towards the Myanmar border and head towards the town of Kengtung, the gateway to the traditional hill tribes of Myanmar. Day 3: Kengtung. Drive north through rice fields and Shan villages and pay a visit to the Lahu, Akha, and Ann people. Enjoy a three hour trek along the hills and learn about local customs and traditional dress in hilltribe villages. Day 4-5: Kengtung/Inle Lake. Jump on a short flight across to tranquil Inle. Get involved in some fantastic optional activities, or take it slow over the next two days. Opt to explore the daily morning market, visit the Phaung Daw Oo Pagoda and the Nga Phe Chaung monastery, or get hands on with an optional cooking class. Alternatively, opt to explore the area by boat or bike. Day 6: Inle Lake/Bagan. Enjoy a final free day in Inle. Then head west to Bagan on board an overnight bus. Day 7-8: Bagan. Enjoy a sunrise tour of Thein Taung Pagoda and breakfast at a local community project. The rest of your time here is free to explore. 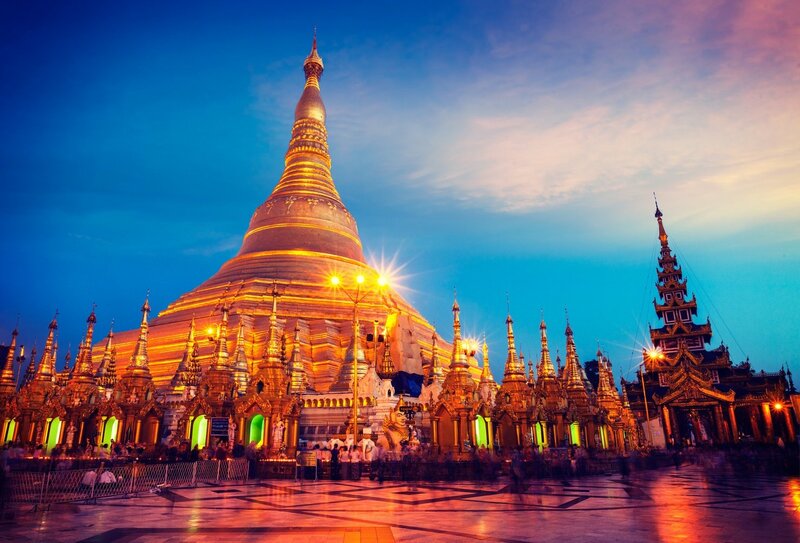 Opt to take a guided tour of the city, and visit the vibrant Nyaung Oo Market and the glistening golden dome of Shwezigon Pagoda. Immerse yourself in Bagan’s rich cultural history as you explore the exquisitely decorated cave temple of Wetkyi-In Gubyaukgyi, and the towering Htilominlo Temple. Day 9: Bagan/Mandalay. Time to leave the sweeping green fields of Bagan behind and head north to the hills of Mandalay. Arrive early afternoon and relax at your hotel or head out for some exploration. Day 10: Mandalay/Yangon. Explore Mandalay at your own pace or join exciting tours and visits in the surrounding area. A highly recommended activity is visiting the beautiful U Bein bridge, the world’s longest and oldest teak bridge. Then get comfy on an overnight bus to Yangon. Bring on the next stunning location! Days 11-12: Yangon. Explore the electric city streets, swanky rooftop bars, and contemporary shopping districts of the country’s largest city. Authentic culture isn’t far away though - the main roundabout in the city encircles a stunning golden pagoda! Enjoy an inclusive orientation walk with your guide to get your bearings and then head out for some city exploration. Day 13: Yangon/Bangkok. Take a short flight to Bangkok and then head out into the city to celebrate this fantastic Myanmar tour. Why not hit Khao San Road and soak up the lively carnival atmosphere of this legendary street? Day 14: Bangkok. It’s time to say goodbye to this epic shoestring adventure in Myanmar! Depart at any time. Return airport transfers are not included but are easily arranged. Let us know your onward travel plans and we can advise you about your best transfer options. Arrive into Chiang Mai International Airport, Thailand, on day 1 of the tour. Please arrive in time for a 6pm welcome meeting at your accommodation. Your trip finishes in Bangkok on your end date. You can depart at any time. Please note that airport transfers are not included. Please speak to a travel advisor who can advise you on arranging them. 13 nights of multi-share accommodation are included on this tour. 10 breakfasts and 1 lunch are included on this tour. You will need to purchase the rest of your meals yourself. This is a great way to make the most out of your travels by soaking up local culture. 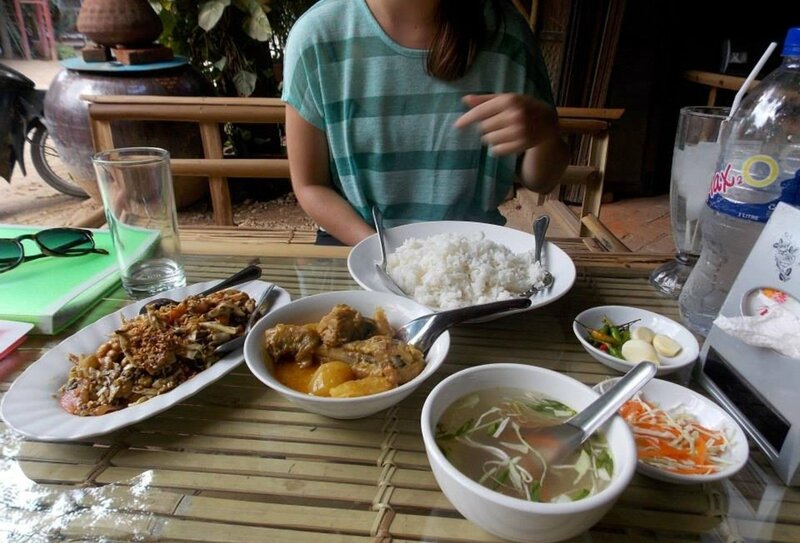 Myanmar has a delicious traditional cuisine that can be found at very reasonable prices – so eating out won’t break the bank! Your guide will give you recommendations about where and what to eat. The minimum age to join this trip is 18. This trip is designed for travellers aged 18-39. You will need to obtain an Independent Traveller tourist visa for Myanmar before you travel. These can be easily obtained through the Myanmar Embassy in London. Visas are the responsibility of each individual traveller. Please contact us for more information about visas. Your passport should remain valid for a minimum of six months after your expected return date.